After eye surgery procedures such as LASIK or cataract surgery, the likelihood of having to wear sunglasses that seal out all natural light is high. It is necessary to protect the eyes from bright light after you undergo eye surgery, both for your comfort and the health of your eyes. It may only take a couple days before the eyes fully adjust or heal from surgery. In the meantime, you can look forward to wearing sunglasses that help in the healing process. 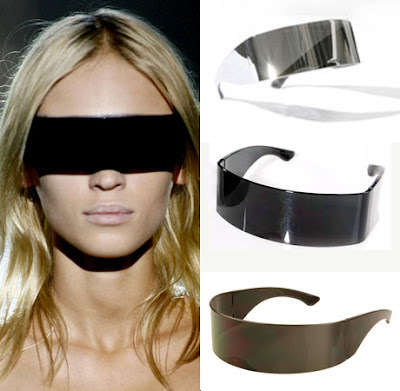 Here are some sunglasses that you might be able to use after eye surgery. This style is effective at making one look like a bug… Is that Gwen Stefani? "Ha ha! I love the Sun!" I'm going to go out on a limb and say this picture was taken at Burning Man. It's safe to say that these sunglasses can also be used as a weapon. They remind me of the glasses that grandma would wear over her bifocals, if only my grandma was Mad Max. Slightly more innocuous than some of the images above, these glasses just scream,"hey, look at me. I've just had my pupils dilated." While they look like the perfect cross between a fighter pilot's tinted helmet visor and a pair of BlueBlockers, I imagine these sunglasses may also be useful in seeing the future. 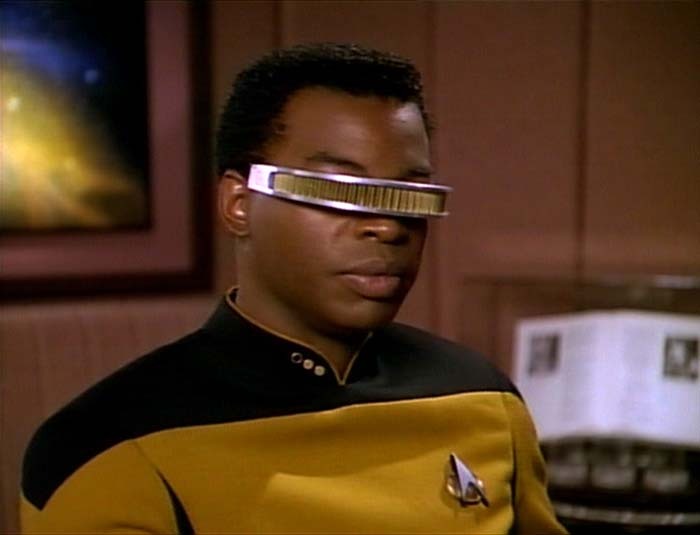 As with most of Paris Hilton's attempts at high fashion, she simply ended up looking like LaVar Burton playing Geordi La Forge. Joking aside, I really don't know what is going on in that picture, I would just assume that she's on a lot of drugs and doesn't know either. Lady Gaga has made quite a name for herself as a fashion icon/weirdo, and believe it or not, these are probably the most basic pair of sunglasses that she owns. They actually sort of look like the sunglasses you get after your optometrist gives you a check-up, sans the small gold detail of course. Kate Moss is no stranger to weird, which is evidenced above. I think it's safe to say that little or no light is getting through those shades, but my only concern is that they are probably uncomfortable on her nose. See what I meant about the previous pair of glasses being normal for GaGa? Who's Looking at Her Eyes Anyways? 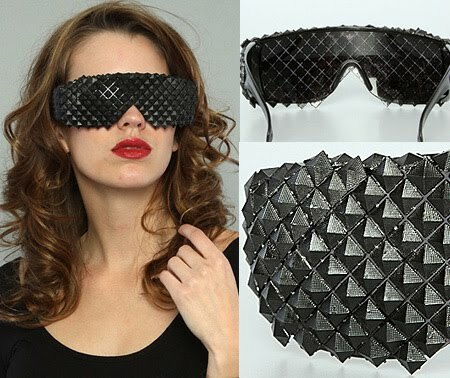 Any list of strange sunglasses would not be complete without a nod to Rhianna's lace-covered shades. Perhaps the biggest problem with these sunglasses is that not only does she look ridiculous, but it looks like the lace was applied to the sunglasses with a glue stick, several minutes before this photo was snapped. And last but not least, the 'smush-smush queen' herself, Snooki.